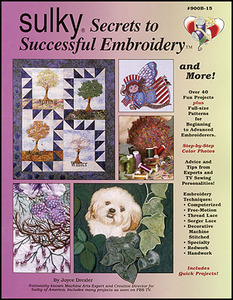 Contains over 40 fun projects plus full-sized patterns for beginning to advanced embroiderers. Step-by-step color photos with advice and tips from the experts and TV personalities. Various embroidery techniques are used such as: computerized, free-motion, thread lace, serger lace, redwork, handwork and much more.